Finnish motorcycle maker RMK Vehicles is gearing up for the debut of their E2 before the year’s end. 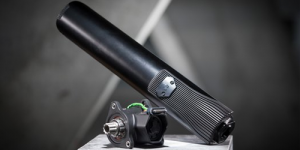 The most striking element awes through absence – the hubless electric motor good for 50 kW. Pre-orders are open but beware; the price may come to a whopping 24,000 euros in the end. 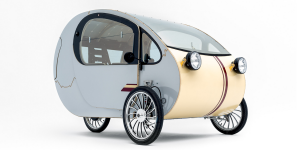 Presented exactly one year ago, Spain’s Evovelo is now ready to start producing their mö, a pedal-assist trike covered in solar panels. Their LEV is unusual but has received all required certification to run road-legally, Evovelo says. 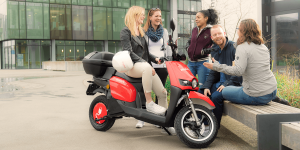 Austria’s KSR Group has imported more than 50,000 electric scooters in Europe under the Niu brand. 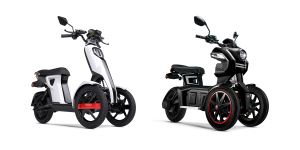 Now their new label Doohan will make its entry with two all-electric two-wheelers running on Bosch motors and Panasonic/LG batteries. 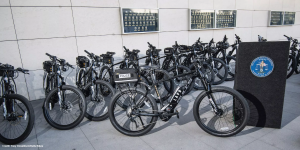 The Los Angeles Police Department has had a quirky addition to their fleet of patrol vehicles as they acquire 20 electric bikes. They have been specifically designed for the force and assist officers up to a speed of 28 mph (45 kph). 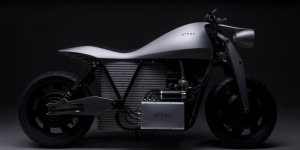 Students from the ETH Zurich have come out with a prototype of a power packed electric motorcycle. Their Ethec boasts a 15 kWh battery for 400 kilometres of range. It supplies the AWD formed of two in-wheel motors delivering 50 kW at peak. 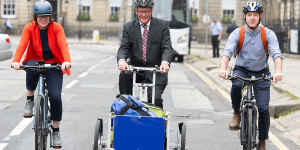 The Scottish government wants to start an e-bike revolution as it allocates more than a million pounds in funding for electric bicycles and pedal-assist cargo bikes. The money will be made available in form of loans and grants. 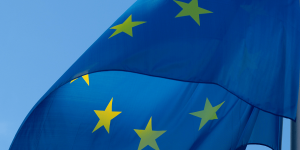 The European Commission has decided that electric bicycles must have a third party liability insurance. While the draft still needs to go through the EU Council and Parliament, it effectively undermines current legislation that equals pedelecs with bicycles. Ansmann will present various solutions for electric bikes at this year’s Eurobike in July. Their focus is on hub motors with no less than six novel variants. Moreover, Ansmann integrated an automatic gearshift developed by Schaeffler into its drive system. 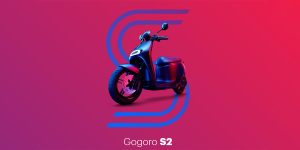 Taiwan’s Gogoro launches two new all-electric scooters destined to hit their home market first. Both models feature the company’s signature battery swap so useful when in the sharing business such as with Bosch’s Coup. Scoot Networks, the electric scooter sharing company from San Francisco, has just set up its European HQ in Barcelona. 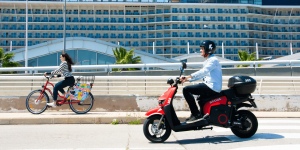 Catalonia’s capital now also got about 1,500 electric two-wheelers to share at their disposal and Scoot plans to take shared mobility further. The Chinese manufacturer Sur-Ron has presented an electric motorcycle named White Ghost. Even if the price has not been released, the technical specifications make it clear that the manufacturer is aiming to produce a popular, affordable motorcycle for the masses. Starting in June, the on-demand mobility service Scoobi will introduce Pittsburgh’s first electric scooter feet with 100 GenZe scooters. 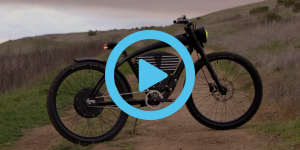 In the U.S. retro-style electric bikes are in season every summer and it is the same with this beach cruiser from California. Vintage Electric presents the Scrambler S, a strong electric bike able to go as fast as 58 kph – mostly illegally so. 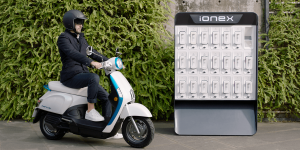 Startup ION Energy presents its latest energy storage solution. 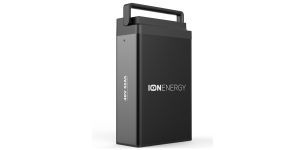 The UDYR is a portable and modular battery using NMC cells from LG Chem. 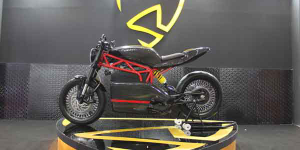 The young company aims for the market of electric two- and three-wheelers with an easy integration approach. U.S. startup Curtiss Motorcycles’ latest bike immediately garnered attention at a show in California due to its sheer power. 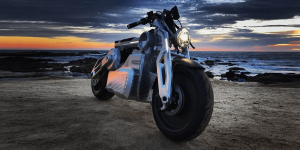 It has two electric motors by Zero Motorcycles, which offer a combined output of 127 kW. With the China Cycle Show starting this Sunday, Bafang gears up to presents its latest pedelec technology, in this case its most compact mid-motor to date. The system including the hidden battery weighs less than 4.4 kilos but it is to be seen whether it is light enough to attract road cyclists. The Indian startup Twenty Two Motors has developed an affordable electric scooter and has now presented it to the public. 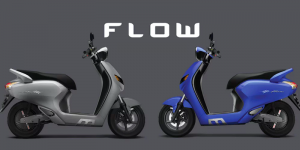 The networked scooter is called Flow and costs about 1,000 euros. 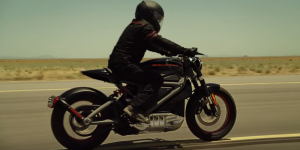 Alternet Systems, a battery technology company from Texas, says it wants to launch its own electric motorcycle brand, ReVolt Electric Motorbikes. 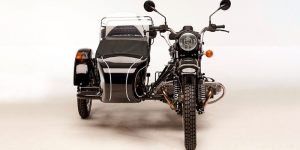 Their first model will electrify the Chinese replica of the BMW R71 sidecar motorcycle from 1938. 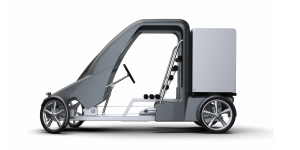 Berlin-based startup Citkar is mixing things up as its presents its Loadster, an electric cargo bike that carries on the amenities of a tiny car. The four-wheeled pedelec got a roof and a load capacity of 300 kilos, making it a serious and clean contender for last mile logistics. 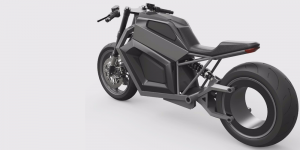 Erik Buell and Frederic Vasseur from Spark Racing have announced their new bike startup VanguardSpark, which will be producing electric bikes. The New York based firms first project will be a pedelec named Speedbike. 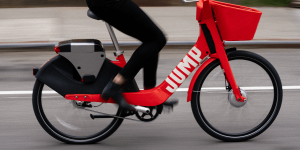 The ride-share provider Uber has added a new tool to their case: electric ride-share company Jump Bikes, that is currently active in San Francisco and Washington D.C. The pedelecs are already available via the Uber app. 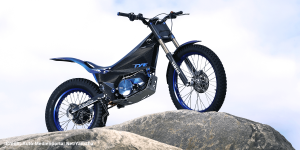 Yamaha presents an electric off-road motorcycle designed to compete for the first time in the 2018 FIM Trial-E Cup at races in France and Belgium. Professional racer Kenichi Kuroyama will represent the Yamaha Factory Racing Team on the TY-E motorbike. 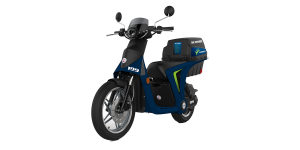 The Taiwanese manufacturer Kymco is presenting its new electric scooter iONIX at the Tokyo Motorcycle Show. The concept not only includes an extra removable batteries, but also an internal, so-called core battery. Munich-based Fazua receives 6.5 million euros in funding for its integrated pedelec drive evation. 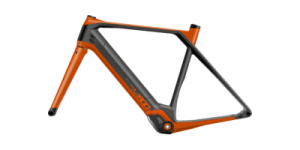 Venture capitalists trust the company to both expand their production and circle of clients beyond Bianchi, Cube, Pinarello, and Focus. 200 electric scooters are to arrive in Switzerland to form a new rental fleet in Zurich. Built by Etrix and managed by Mobility, the two-wheelers will free float and can be booked without reservation and every minute counts. 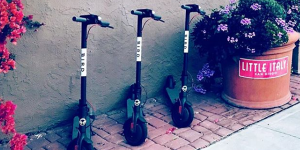 Founded by a former Uber executive, L.A.-based Bird has been reeling in the money for its electric kick scooter business. Less than a month after announcing a $15 million funding round, the shared electric scooter startup raised a further $100 million. 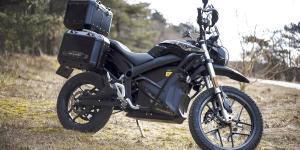 Zero Motorcycles launches its DSR Black Forest Edition designed exclusively for European consumers. The electric touring bike features Zero’s optional “Charge Tank” and a cruising range of up to 260 km. 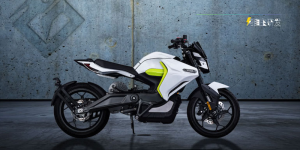 The US American motorcycle brand has invested an unknown sum into the electric motorcycle manufacturer formerly known as BRD Motorcycles. The smaller Alta Motors has significant experience with battery packs and powertrains that Harley Davidson can benefit from. 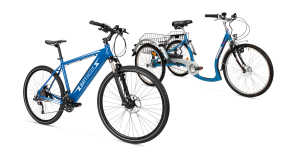 The Lucat electric bike, presented by Menza Motors, is heralded as an electric “power commuter”, and will feature 18 kW of power for a range of 145 km and a top speed of 120 km/h for regular street use.